There is one life lesson I learn over and over again. 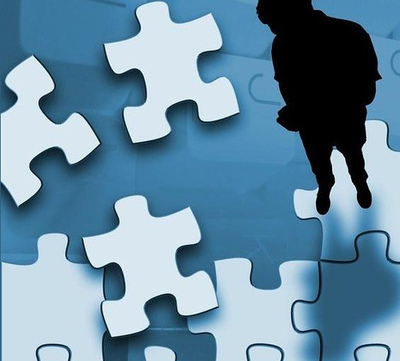 It is the guarantee that even though it seems like pieces are missing, parts of the puzzle aren't quite working out or even that the puzzle is just too complicated, it turns out that the pieces really do fit together. Sometimes I need to adjust the lighting, look at the box top again or simply take a short break to regroup. This is what I have been doing since January. We (my family) experienced a lot of changes. It was an overwhelming time for me in a lot of ways. It isn't worth going into the gory details, but if you back-read my blog, you would see hints of the frustration, sadness, and even the hopelessness I felt at the time. Emerging from that, at almost the same time, was a Me that was longing to reconcile into an authentic me. It took Israel, and one last experience (and maybe my friend R's advice to take a fukkit pill) to show me that this puzzle is do-able, that the pieces really do fit. Wednesday morning is my naming. My re-naming. Go ahead -- think I am meshuggah! This is an internal reboot. (By the way, I still need a juicer to do my external reboot -- anyone? anyone?) This is the moment in time that I am recognizing this internal reboot -- my soul aligning with my new name. And this is Me marking the fact that the puzzle pieces really do fit.